Natan tells the remarkable story of Bernard Natan, a Romanian immigrant who came to Paris in 1905 and was involved almost immediately with French cinema. He took control of the Pathe film group in the late 1920s and went on to produce epic films such as Les Miserables. 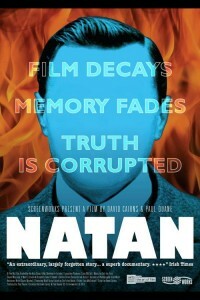 But Natan has become largely written out of French film history for various different reasons. I will not go into details here as the story is an excellent one, suffice to say that his ethnicity and subsequent rumours plagued Natan almost from the start of his career. His ‘comeuppance’ for his alleged transgressions is at the heart of this devastating documentary.